Virginia’s #1 hospital* is expanding. So are your career opportunities. It’s the largest UVA expansion project ever: a 425,000-square-foot, $450+ million-dollar investment that will provide a brand new and expanded emergency department/level 1 trauma center, along with new operating rooms and procedural and recovery space. 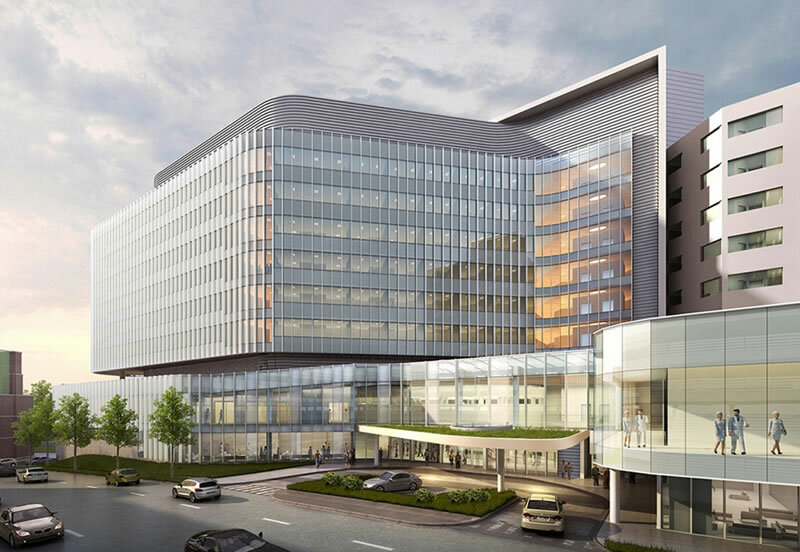 In addition, a new six-story tower will convert most semi-private patient rooms into private rooms and allow us to expand critical service lines like oncology and transplant. We are expanding UVA Medical Center’s Emergency Department from 43 to 76 beds, and we are tripling our square footage. In the ED, we are incorporating the latest technology to shorten wait times and to expand adult and pediatric trauma, behavioral health and other services. On the second floor, we will greatly expand the Medical Center’s interventional capacity, adding four new operating rooms, three new procedure rooms and expanded prep, recovery and support spaces with advanced intraoperative technology. On top of this, we will add a six-story tower to create more private rooms to alleviate capacity restraints, reduce length of stay, increase patient satisfaction, expand inpatient capacity for growing service lines and improve the physical work environment for our team members. The University of Virginia Health System is an equal opportunity and affirmative action employer. Women, minorities, veterans and persons with disabilities are encouraged to apply.